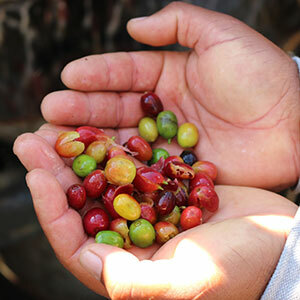 We focusing on the best quality coffee beans straight from Brazil specifically for your roastery, connecting you to the top products the Cerrado Mineiro region has to offer! Our beans are all carefully sourced from the beautiful Cerrado Mineiro region in Brazil. Our supplier works alongside the producer to guarantee a coffee with excellence, quality and consistency. All farmrs are cooperated and participate in the activities and profites of the cooperative and are also assisted step by step in the while process of cultivation, preparation of the land, collection, separacao, ensacamento and sale of grains to the International market. In this way we guarantee that your coffee will be fair trade, controlled by a highly qualified team and continually stable in all processes. We are moved by passion. Top quality beans from Brazil. Beans certified by the Cerrado Coffee Growers Federation. We are building trusting and long lasting relationships through coffee. Where to find our coffee? We also support Ikhaya Le Themba, an outreach and evangelical ministry of Joshua Generation Church, assisting the needy and poor in communities, meeting their practical needs and showing them the love of Jesus. Ikhaya Le Themba is a faith-based NPO (046-634) operating into the heart of Khayelitsha and now also in Wellington. Established in 2003, Ian and Theresa Richardson felt a calling in their hearts to empower communities throughout Southern Africa, to take care of the terminally and chronically ill and to deal with the implications of illness and death. Ikhaya Le Themba organisation works into four specific areas within the community, Community Development, Orphans & Vulnerable Children, Skills Development and Enterprise Development.